Tragedy and the Workplace, Part 1: What Can Organizations Do? Many of us spend most of our waking hours in the workplace. We often chat with our colleagues about television shows, current events, what we did over the weekend, and about our loved ones. However, how do we engage with one another during times of tragedy and trauma – be it a personal loss, a natural disaster, or seeing people who are like you and your loved ones being treated unfairly, violated, brutalized, or worse in the media? A recent article by Fast Company, "What is the Role of a Workplace after a Tragedy", shares a few recommendations on how the workplace can react to ordeals. Speaking to the organization’s role, the author and the human resource consultants quoted recommend focusing on supporting employees and reassuring employee safety. Managers should check in with their employees to get a feel for how they are doing. The conversations around tragic events are probably already happening at water coolers and lunch. Building in time for this conversation during standing meetings allows for a facilitated and safe space for staff to discuss what’s on their minds. In addition, meetings are an entry point to reassure employees that the organization is committed to their safety. Managers can share information on recognizing and reporting suspicious activity, can communicate safety measures in place, and can share available training and resources. While the Fast Company article does not address this, it is important to recognize how critical inclusion is in fostering a sense of safety. As managers check-in with their staff and reassure them, they should do so with diversity and inclusion in mind. An inclusive culture allows each and every staff member to feel that they belong, are supported, are respected, are valued, and that they matter. 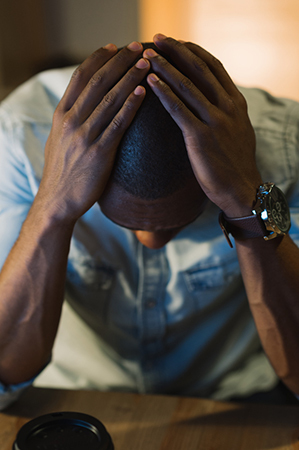 To ensure inclusion when responding to tragedy and trauma, managers should consider how some staff members may be processing their reactions and feelings in a different way than their colleagues. This post by Clayton Robbins has some great advice for how to do this: "Leading during trauma, trying times, and triggering events." The EAP provides personalized consultation, short-term support, referral and follow up services to enhance personal and professional well-being. EAP is an ideal first stop for access to the vast resources of NIH and the outside community. EAP also offer training and support for workgroups to address issues that impact the work environment. EAP services are strictly confidential. The NIH Civil Program addresses matters pertaining to the prevention of violence in the NIH workplace. Matters include behaviors of concern that may lead to acts of violence, such as bullying or intimidating behavior, threats, suicidal ideation, and domestic violence. The DEM is the principal emergency planning resource for the NIH and is responsible for coordinating all NIH resources essential to emergency planning and preparedness functions. Information and resources on Emergency Preparedness; Earthquakes; Bomb Threats; and Armed Intruders are available on the DEM website.